If you really sit down and study these nineteen photographs, the term smarts and arts can be used to analyze each and everyone of them. 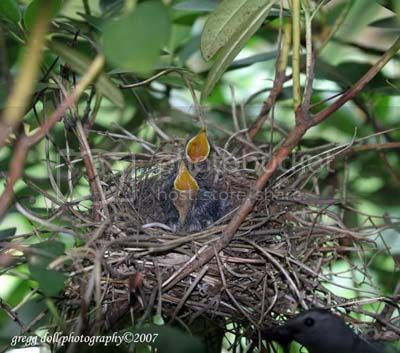 Two of the three eggs that were laid in this nest on the Fourth of July, hatched. 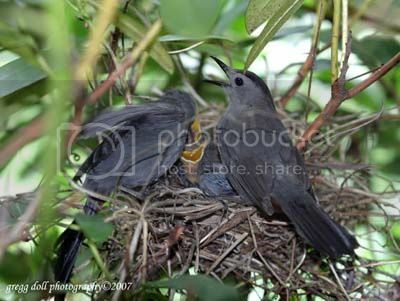 The babies left the nest on the 30th of July. If you look down on the right hand corner of this picture you can see one of the parents. "Thanks for breakfast, momma." This morning's breakfast was black berries and worms. "Thank you, daddy." Both chicks had the same breakfast. 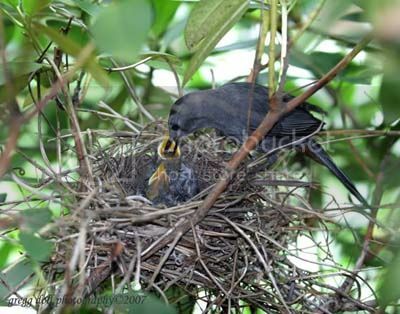 I've observed the parent's feeding ants, japanese bettles and larvae to the hatchlings. 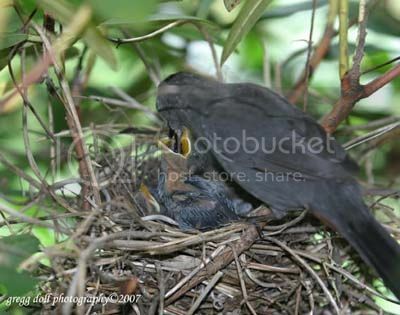 This is the first and only time that I saw both parents on the nest with the chicks. I got lucky this time as it only took me twenty minutes to shoot these four pictures. 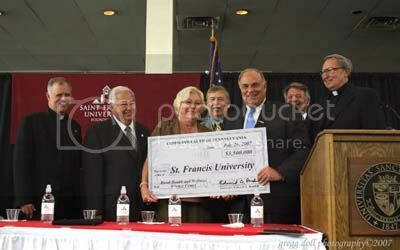 Pennsylvania's Governor Rendell presented $3.5 million to Saint Francis University. These funds, combined with $3.5 million donated by Joseph and Marguerite DiSepio, graduates of the University, will be used to build the university's Rural Health and Wellness Science Center. You can read more at the University web site. 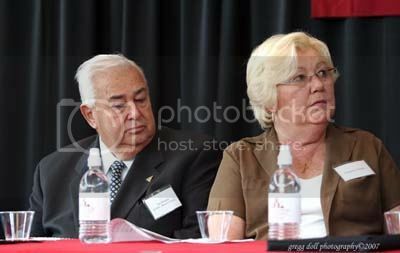 Joseph and Marguerite DiSepio listen to Governor Rendell at the presentation. 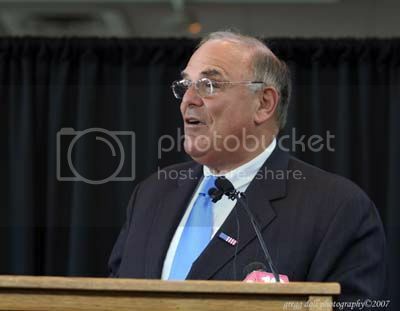 Governor Ed Rendell addresses the campus community, Saint Francis University, during the presentation of the grant. Governor Rendell makes the presentation of the state's matching grant worth $3.5 million to the DiSepios and assembled dignitaries. 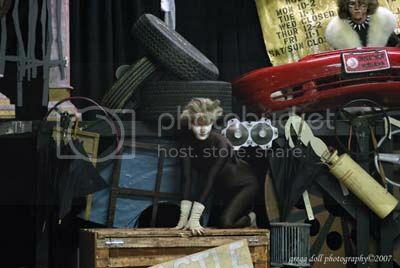 Cresson Lake Playhouse is presenting the play Cats from 2 to 18 August. 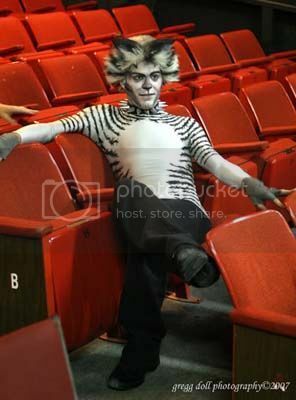 Cats, which made it's debut in 1981 in London, is the longest running production in history. Shown here is Brian Williamson, musical director for the production. One of the cats posing for the photographer. 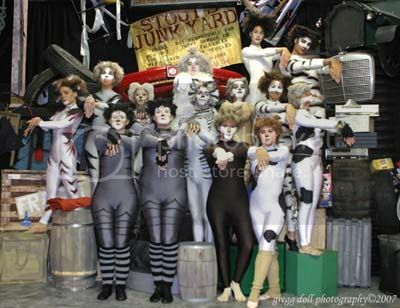 A pride of cats, actually cast members. The play is based on a T. S. Eliot's book, Old Possums Book of Practical Cats. 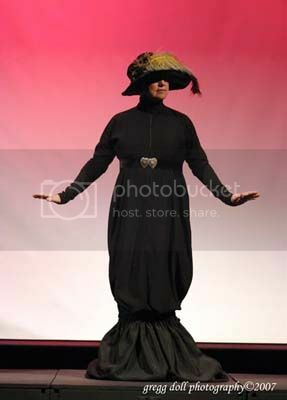 The next set of pictures is based on the play Silhouettes by Bonnie and Kenny Resinski. 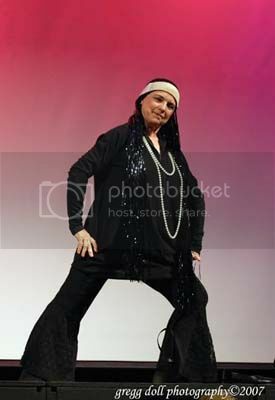 Bonnie created the copyrighted lecture/demonstration over 25 years ago. 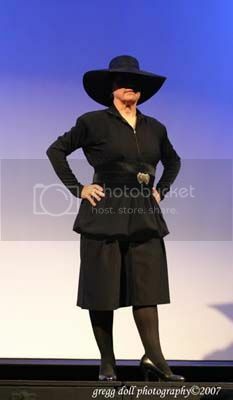 She has presented it to Women's Clubs and social gatherings as a way to share her knowledge of women's fashion history from 1890 to the present. On display at the Southern Alleghenies Museum of Art located on the campus of Saint Francis University in Loretto, PA is an exhibit titled Outside the Centers: On the Edge. 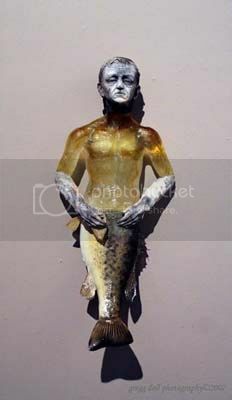 The pictures here are the work of Christina L. Bothwell, titled Mermaids, 2005. 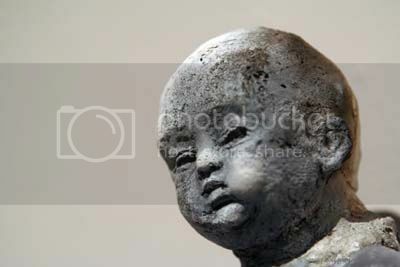 They consist of mold formed cast glass, pit-fired Raku clay, taxidermied fish. 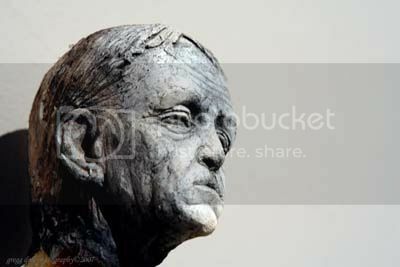 These three photographs are my interpretations of Ms. Bothwell's work.